Strong, beautiful nails do not happen overnight. 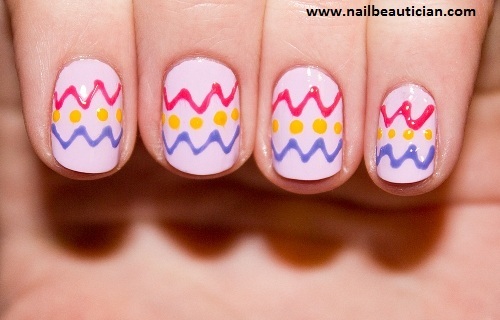 In this article I am providing you best tips for the nails that you have always dreamed of. To have beautiful hands, you must focus on having beautiful nails and to have beautiful hands and nails, you have to keep them clean. Wash your hands with gentle hand soap and use a tiny brush to clean your nails from top, along the folds, and under the nails where dirt usually hides. Make sure to wear gloves while washing dishes because dish washing liquid is harmful for nails and hands and it makes your nails unhealthy, in the result damage occurs. It is true that water hydrates your skin, but it also dehydrates your nails. To compensate you need to moisturize your hands and nails after every wash. While rubbing your hands with the moisturizer make sure your nails are being thoroughly moisturized as well. Protect your nails from breakage and dirt by simply wearing protective gloves. Now a days, protective gloves are easily available in the market in different materials. Protective gloves provide protection to nails from breakage, peeling and splitting. It also protect your nails from dirt. Harsh soap, water and other cleaning products dry out nails. In addition to all products, our nails get drier with age. To make up for the loss of water, we need to moisturize our nails regularly to prevent from breaking, splitting and chipping. For keeping your hands hydrated use moisturizer after every wash and you can also use petroleum jelly on your nails after bathing or showering. Some other best products for nails hydration are Shea butter, avocado oil, and olive oil. Applying nail polish, even if it is just a clear base coat will protect your nails from dehydration and reduces moisture loss. Polishing nails will help your nails from breaking, the base coat helps your nails from yellowish color and the top coat prevent your nails from chipping. Nails are actually made up of layers and their natural oils are the glue that keep layers together. Filing and clipping dry nails will cause your nails to split and separate. The best time to clip and file your nails are after a shower and bath because at that times the nails are softer and less likely to split and break. Never cut or remove your cuticles, as this can cause inflammation and infections. Just push your cuticles back gently. Before pushing back your cuticles make sure to put your nails in lukewarm water for 10-15 minutes to make sure the cuticles are soft and push able. With a cuticle stick, gently push your cuticles.